Lock picking is a deeply rewarding hobby, but it is also a lot of work. To really understand what you are getting yourself into, I have composed a step-by-step guide, which outlines a hobbyist’s journey through beginning lock picking. It is intended to help those starting out, and provide insights as well as other resources, which may benefit the reader. Using the key takeaways you will be able to understand your general trajectory, but there is enough detail in each step, that one should take their time to read sections fully as they progress. First of all, before you do anything with lock picking, you must understand your local lock picking laws. It may not be legal for you to have the type of equipment you are looking to invest in. You may need certain licenses, or your lock picks may even implicate you in a crime simply by being in your possession. Once you know if you can legally continue with this hobby, it is time to learn the lock picking code. There are two rules of lock picking, which must be followed at all times. Failure to follow these rules will at best endanger you and those around you, and at worst result in criminal prosecution. Never pick a lock you do not own, or have not been given express permission from the owner to pick. Never pick a lock that is in use. If you break the first rule, you are breaking the law. If you break the law, you are a criminal. Lock picking is a hobby for those who enjoy the challenge, the knowledge, etc., not for criminals. Breaking the second rule is just dangerous because you may break the lock. Breaking or decreasing the security of a lock is not a problem for practice locks. But if that lock is being used with the expectation that it is achieving some level of security, then the risk of ruination is reckless. Never be reckless with security. Follow your local, state, and federal laws. Lock picking should never be used for illegal acts. There are certain States and Countries that do not allow the ownership of lock picks by civilians. One of the most important aspects of starting any new hobby is knowing what to expect, and getting excited about the reality of your endeavor. 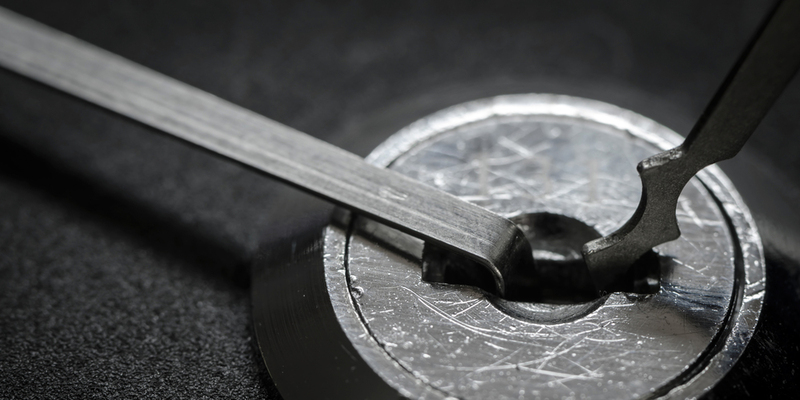 The first thing you need to do when starting to consider lock picking as your new hobby is to ground yourself and understand the difficulty, uses, and general expectations. I recommend reading through this site as well as checking out the beginner playlists from both Bosnian Bill and Schuyler Towne. You can also check out some of the more advanced videos just to see the level that you could potentially reach. During this point in the research process, familiarize yourself with some of the terminology, and the basics of lock functionality. If you cannot get excited about learning, without doing, then lock picking is probably not for you. Increasing your skills will almost always send you to the Internet to read, watch, and listen to pickers and locksporters share their tips. This is not the same as being overly excited, but chances are, if you really are excited, you have been watching many lock picking videos and reading the forums while you wait for your mail order lock pick set to arrive. Understand that lock picking is a difficult hobby, because it requires quite a bit of investment, both in time and finances. It is a perishable skill, so any time off will frustratingly result in a feeling of starting over. If you do not practice, your skills will atrophy. It is not like riding a bike! Do your research before you make up your mind. Have some understanding of how lock picking works. Get excited to start picking! Goals are very important to any hobby. It is what keeps you interested and invested in the pursuit. It is important to have both long-term and short-term goals. A goal can be as simple as wanting to pick a lock, but that is a short-term goal. Once that is achieved, you need to already be thinking of your next move. A certain amount of times you want to pick the lock, or perhaps how fast you want to be able to pick it. Do you want to just be able to rake locks open, to begin with, and then work your way up to single pin picking? Is there a certain type of lock you want to open: popular house locks, car locks, weird locks, etc.? (You should start with a standard pin tumbler lock for the best results.) Do you want to work your way up to becoming a locksmith or security professional? The goals you decide on are not written in stone. You should just do it early so you know what you want to buy initially. But this process is ongoing, and always evolving. The only one who is going to hold you to your commitment is you. Understand that these goals can change to be more realistic. In cases of natural talent, where everything is coming very easily, that may mean upping the level of difficulty. If your goals were too lofty, then you may lower your expectations. In either case, it is important that you do not become disinterested or frustrated. Your goals are meant to grow with you. As soon as you remain stagnant too long, either by not increasing the challenge of your goals or by being stuck on a goal, which is too challenging, you will lose interest. The best way to fight stagnancy is with a deadline. Perhaps it is when you want to shoot your first YouTube video or something more likely to light a fire under your feet, like a lock picking meetup or competition. With a deadline, even if you fall short of your goal, there will be a motivating force seemingly outside of yourself. It is best to start by learning to pick pin tumbler locks. These goals do not need to be permanent. The goals you set will act as a roadmap for purchasing decisions. Goals can change as you begin to understand your hobby more. Make sure that your goals are not too easily attainable or too lofty to achieve. Now that you are excited, and you know what you are looking to accomplish, it is time to start getting your supplies. The research you did to set your expectations should have already prepared you a bit for this in terms of prices. This should save you a bit of sticker shock, and also having you looking at particular tools. If you are interested in starting off by exploring automotive lock picking, disk detainers, tubular locks, or anything else out of the norm, then you will be looking at different tools than the standard recommended set. Going the traditional route, in terms of lock picking, will make choosing your tools much easier. Just take a look at our post on the items you need in your first lock pick set, and if you are concerned on who to buy your tools from, just refer to our post on excellent lock pick brands. Between those two posts, you should be able to decide on a beginning kit that will get what you need while still staying in your budget. If you are interested in electronic lock picks or pick guns, you should consider reading an article I wrote about the differences between manual and electronic picking. Your picks will be based off of your goals. Refer to links for detailed analysis of purchasing choices. Starting with pin tumbler locks will allow you a wider range of tools to choose from. One of the most important tools you will need is a practice lock. This lock is going to determine your success with the hobby. Be sure to read about some of the recommended practice locks, and what you can expect from each of them. I would wholeheartedly recommend starting with a standard pin tumbler lock. One of the most important things is deciding between a pin tumbler deadbolt, keyed knob, or padlock. Really this decision just comes down to your goals. Be sure that you pick something easy to start with, or if you are getting several locks, make sure you understand the order of difficulty. Without understanding the lock and what is inside, you are setting yourself up for failure. Start off by researching your locks, and get into more challenging locks once you have your footing. Locks such as the Master No. 3 or a simple Kwikset deadbolt are great beginner practice locks. The most important thing to refer back to Step 1 at this point to make sure you are not picking a lock that is in use or one you do not own. If you intend to upgrade your door, install your new lock or have it ready to be installed, before you begin picking the lock you wish to replace. This can give you the actual feeling of picking a lock that has been installed on a door. Once you have tried to pick the soon to be replaced lock, do not use it to secure your home. Do not walk away from the door until the new lock is installed properly. For any assistance on installing a lock, you can reach out to a locksmith near you. Your lock choice will be based on the goals you have set. Start off with a lock that is easy to pick. Do not pick a lock that you intend to use for your security. Once you have all of your tools, and your expectations set, it is time to start picking. Hopefully, you have ended up with a standard lock pick kit and a pin tumbler lock. If you have chosen to start with something more exotic, then hopefully you have the right kind of picks and a lock that is not going to be too difficult. In any case, use the knowledge that you have gained to insert your tools into the keyway, and begin experimenting with manipulation. Use the key and unlock the lock. Doing this will reassure you that there is nothing wrong with your practice lock. If the lock does not work with the key, then you have a problem. Most likely this lock is broken. Put the lock aside or return it. Insert your hook, or some device for single pin picking, even if you are not planning to single pin pick the lock. This is a similar troubleshooting method as using the key. You are just trying to move the internal mechanisms around and check to see if anything is gummed up. Also, you are getting a feel for how the lock works on the inside. Try and use your chosen method to open the lock, making sure to keep a consistent tension. If it does not open, experiment with less and greater tension. Be gentle with your tools. I know you are excited, and you just want to get the thing open, but take a deep breath. Many first-time lock pickers really go at their first few attempts hard. This is not good for the picks or for the lock. Lighter treatment of the lock will extend the life of all your tools. You will also get better feedback, and begin to really understand the device. When you get it open, see if you can open it again in the same amount of time. Try and figure out what it is you are doing. Take notice of your tension, and how you move the tool in the keyway. If you have a theory about the most important elements of your success, test them out. The first couple of successful opens are going to give you your habits, good and bad. Try and make them good. The biggest thing is that you should not be getting frustrated. Keep trying new things, but give everything a chance. Not everything is going to work out right away. Although you have tried your best to set realistic expectations, in the moment you can forget to take in everything you learned. Keep a level head. And if it get’s too easy, make sure it is because you understand what you are doing, and not because you are getting lucky or replicating success without the knowledge of why it is working. The best way to test this is to slow down what you are doing and see if you get the same results. If you are getting very good at raking, start single pin picking. Make sure your locks works. Try to learn about the lock as you pick it. Do not be rough with your tools and lock. Be patient, and remember that your goals are malleable. Like we talked about in Step 2, lock picking is a perishable skill. When you do not practice, you lose your ability. This means that you need to add your practice time into your schedule. Hopefully, you are picking at the very least, one lock successfully each day. It may seem like quite a bit of work, but there are a lot of instances in a day where you can be doing something with your hands while still doing something else: on breaks at work; when you are watching TV; when you are sitting up in bed, before you go to sleep; etc. There is always time to brush up on your skills a bit, but serious practice time needs to be done a few times a week. These will be the days where you make a concerted effort to improve your skills and get closer to your next goal. This is when you really get to dive into your hobby and test your ability. You can also use this time for further research. Investigate issues you have been struggling with, and even plan out new goals you would like to reach. Without this time put aside, you will lose interest, momentum, and/or skill. Losing any of those three things will ultimately result in your locks and picks collecting dust. If you travel often, you should bring your hobby with you wherever it is possible. Make sure you understand the laws of the areas you will be visiting. 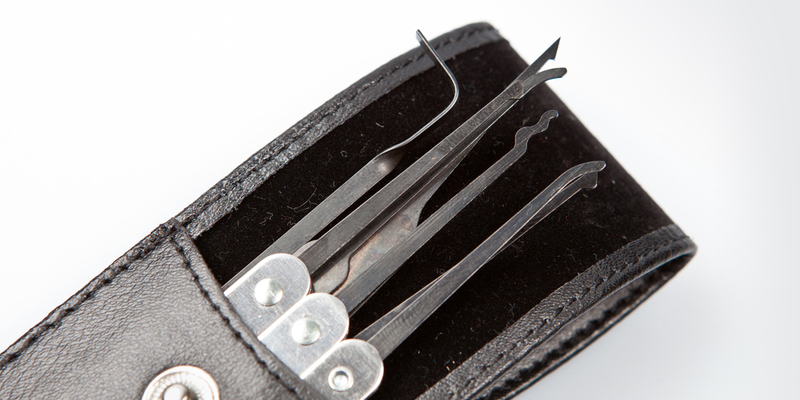 You can also consult our guide on traveling with lock picks. It is certainly a lot more possible than you would suspect. You can lose your skills if you do not use them. There is always time to practice. 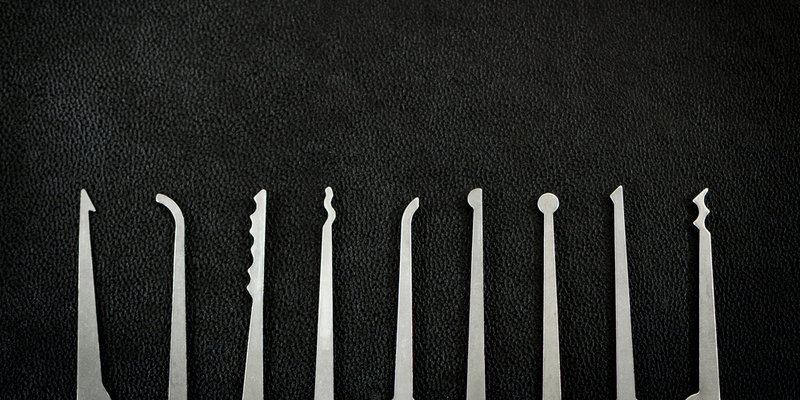 Be wary of traveling with lock picks. As you learned in Step 3, it is very important to have goals and deadlines. The ones you set for yourself are good to start, but if you are in this for the long haul, the next step is getting out into the world. Get on the forums, and start going to meetup groups. This will form your support network. When you stumble, and you don’t know where to turn, you will know where to go for advice. Being a part of these groups will also benefit your learning by exposing you to ideas you may not have stumbled onto otherwise. There will also be a sense of competition, as you will see other achieving, and will also have a group who might be impressed by what you have accomplished. Some really good sites to look at are Lock Picking 101 and Keypicking. These are online forums, where you can start threads, and respond to information that has already been left. They are great learning resources, and for the most part, the users are very kind and respectful. A general rule for the sites is to look for and existing threads for your chosen topic before you post a new thread. Since the onsite search bars are not very reliable, double check your search queries by Googling your topic with the term Lock Picking 101 and/or Keypicking. These sights are not a fan of self-promotion, so stay humble and do not plug anything. Be friendly, and you will make friends. Being part of a community will also allow you to get in on lock exchanges and lock trading. This decreases the cost of getting new locks, as you can simply trade out the ones you have grown too experienced with. There are also challenge locks that get sent around, where you can begin to test your ability to pick a lock blind. You may also test your understanding of locks by making your own challenge lock. Forums and meet up groups provide a security net. You can learn from these groups. Look to these people for inspiration and new goals. 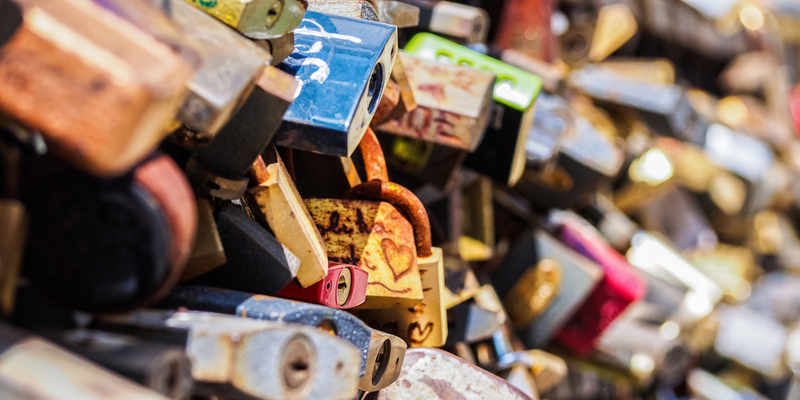 Use these resources to share and trade locks. This step is a bit of a misnomer. You will be growing during your progression through these steps, however, this step refers to a larger expansion of your skills. Essentially, once you have your support network, tools, and are learning, it is time to start all over with developing a new set of skills. It never hurts to reexamine the rules, but you can pretty much start at Step 2. This would be something like moving on from standard pin tumbler locks to other styles of locks. These require new expectations, adjusted goals, sometimes different picks, and certainly new locks. The main difference is that you cannot neglect the practice of your old skills. You may not need to focus on them exclusively for an entire day, but still, continue to pick locks at the same level, or you will lose your ability. Growth takes into account both starting over and maintaining what you already have. Each time you do this, starting over will become easier, but maintaining will start to get a little more complicated. With more to brush up on, there will be more to practice. Keep practicing your previous skills, while learning new ones. Repeat the process until you have learned everything there is to know. We all get busy or lose our mojo from time to time. When you are getting back into lock picking it is important to remember how far you came. You may need to go back and fish out your first practice lock and get back to basics, but it is not going to take you as long to get back to your previous level as say a newcomer. Take it slow. If you have forgotten anything, return to your original sources of knowledge. Even though it may feel like you are starting over, I can assure you that you are not. You are just rediscovering your footing. Jumping back in is great, but don’t be afraid to take your time. Get back to basics, and build up your skills again from the ground up. As tempting as it may be to just get back some of your coolest tricks, it is not a good way to recapture your enthusiasm and abilities. If you truly enjoy lock picking, then there is no conclusion. You can do it forever, and always find something new to get excited about. Start going to competitions, travel the world. Or you may decide to start a business around your new skills. The only time progress stops is when you decide to stop. I hope that you enjoy your new hobby. Happy picking!